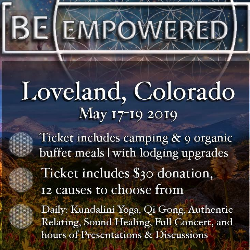 Join us May 17-19, in beautiful Loveland, Colorado for a truly one-of-a-kind experience. This event is bringing together activism, mindfulness, philosophy, health, communication, permaculture, and so much more... All to EMPOWER each of us to take a more holistic, solutions-oriented approach to life! 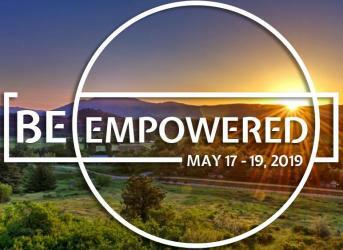 Every ticket to Be Empowered includes 9 organic meals, camping (optional lodging upgrades), 5 Kundalini Yoga / Qi Gong sessions, 3 hour-long sound healings, 2 Solsara authentic relating workshops, 3 nights of full concerts, AND 3 days of the presentations, panels, and discussion you expect from a full conference? All this hosted by a magnificent eco-village & spiritual community that has been operational for more than 70 years! 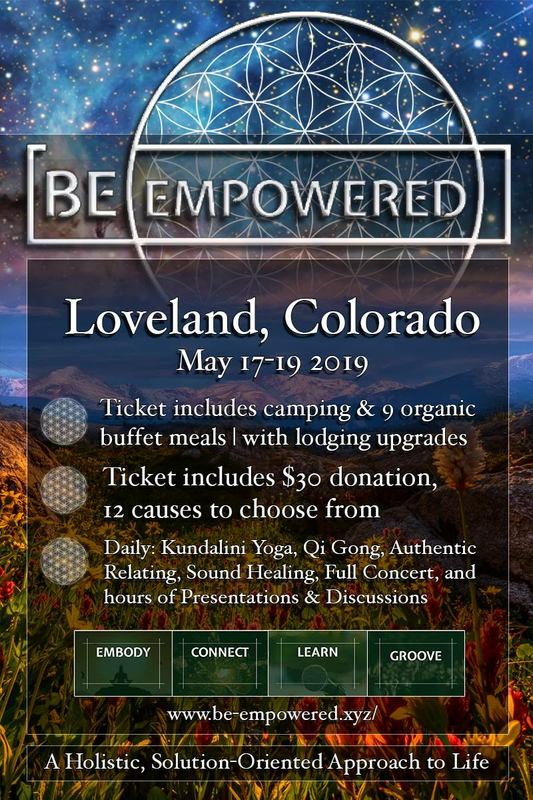 A consciousness-raising retreat, festival, and conference that brings world-class speakers, healers, and life-facilitators together at a beautiful retreat center & eco-village just an hour from the Denver Airport for three days of mindfulness, connection, movement, and EMPOWERMENT! Be Empowered is focused on a holistic, solutions-oriented approach to life, with respect for individual sovereignty and life. From philosophy to diet, from activism to the arts, from parenting to technology... how is the way we live supporting our own health & well-being, and that of the human race and Earth as a whole? Each day will include morning & evening yoga, hours of presentations & panels, an hour-long sunset sound healing session, and a full night of live music. Many of the performers & presenters will be people who are well known in the movement, while many others will be names that you probably haven't heard before, but who have powerful & important messages to share. * Saturday - Focusing on how we show up in interpersonal relationships, our communication, conflict resolution, and all things to do with “we”. The sound healing will be led by a couple, and all musicians will be duos/bands, including Truniversal & Metanoia.